Nila was one of the first LED lighting product manufacturers to produce LED luminaires with color rendering, brightness levels, and reliability good enough to replace tungsten, HMI, and metal halide fixtures in a business where image is everything. Nila designs and installs the highest quality lighting systems available for art and industry. The light that our fixtures produce is not only sustainable, but beautiful too. That’s because we’re not only great fixture designers - we understand your aesthetic needs as well. Creative lighting involves more than placing lights in order to illuminate a subject. A good design also creates a rich and vibrant aesthetic that enhances everything it touches. It’s that level of expertise that Nila brings to the table, and the one thing that no other luminaire manufacturer can offer. Our light kits dominate the remote broadcast lighting market. CNN, Fox News, CBS, ABC, NBC, ESPN, Al Jazeera, Univision and many others are repeat customers. We've fulfilled multiple contracts with the U.S. Government including lighting the main chamber of the US House of Representatives, the press briefing area at Camp David, and several senate hearing rooms on Capitol Hill. Ours are the most recommended fixtures for use in high-speed photography for industry. High-speed customers include Rolls Royce, the US Army, GE Aviation, Neaton Automotive, and many more. Nila president, Jim Sanfilippo, is considered an expert in the field of flicker-free imaging and has taught the lighting segment at the MIT summer high speed workshop for the last four years. Nila is the brand most often associated with motion-capture lighting, having lit stages for Sony Computer Entertainment, Lightstorm, ImageMovers, Disney and many others. We've had the pleasure of lighting sporting events including NFL, NBA, MLB, MLS, NHL, and the Olympic Games. 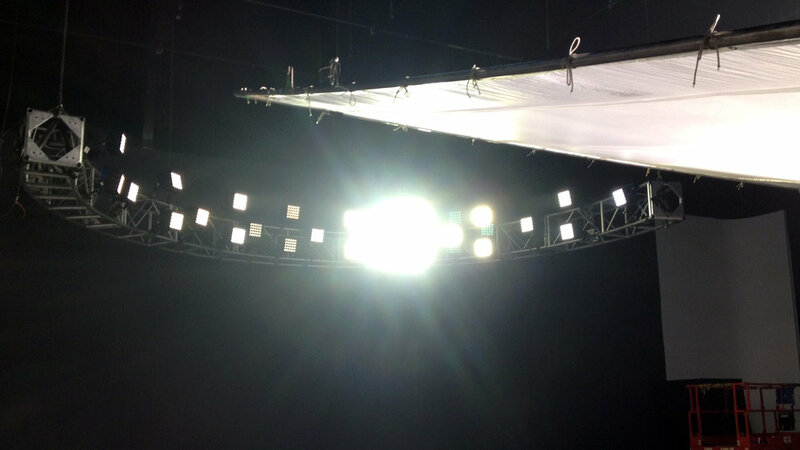 Chances are that you've already seen our lights hard at work at a large number of televised sporting events. Nila’s focus is on durable, environmentally sustainable, high-brightness, energy-saving light fixtures that produce beautiful light without compromise. Nila’s products are environmentally sustainable by design, containing no lead, mercury, or toxic heavy metals. They don’t emit any harmful UV or IR radiation and their components are all RoHS compliant. Our goal is for everything we produce to be 100% recyclable and/or reusable. Our cradle-to-cradle design allows for maximum recyclability at the end of every product's useful life, and we even offer a trade-in recycling program to make it easier for you to upgrade your lighting system. Some think that making a product sustainable reduces its efficacy. The truth is that we manufacture some of the brightest light fixtures currently on the market. But brightness alone is easy. Our fixtures create light that is both bright and beautiful, with better color rendering across the entire spectrum. Sustainability is just a buzzword for some companies. For Nila, it's a way of life. When you use Nila’s LED lights, you get a durable, sustainable lighting system that produces beautiful light and saves you money every single day. What more could you ask for?